The fearsome combination looks like something out a post-apocalyptic action flick, but gives the group very real mobile firepower. Technicals, a term typically applied to commercial pickup trucks or similar light wheeled vehicles with improvised weapon mounts, are common among both state security forces and non-state actors, especially in the Middle East. But few are as heavily armed as a type that Iranian-backed Houthi rebels in Yemen are employing, which packs a 20mm Vulcan cannon and looks like something one might expect to see in a new Mad Max movie. Earlier in July 2018, images emerged on one of these vehicles, which appears to be based a heavily stripped down Toyota Hilux 4x4 pickup, engaged in operations against the elements of the Saudi Arabian-led coalition in the country or local forces they support in Lahij Governorate, which sits near the Gulf of Aden. In June 2018, forces from the United Arab Emirates (UAE) and Yemeni militia had launched a new offensive against the Houthis in the heavily contested port city of Hodeidah further to the north, which led to an increase in fighting in surrounding areas. 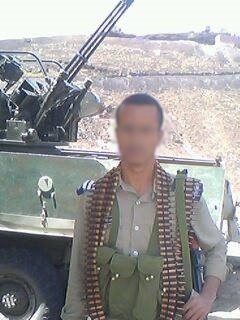 It’s not clear how many of these Vulcan-armed technicals the Houthis actually have. The group released a video in January 2017 that showed one in action in Taiz, north of Lahij Governorate. Additional imagery and video appear to show at least two different Toyota Hiluxes carrying the guns, but the rebels could have moved the weapon from one to another after the initial vehicle broke down or got destroyed. Houthi forces had captured examples of the towed Vulcan Air Defense Systems, also known as the M167, as early as 2015, though. Earlier pictures and clips show rebels with the guns mounted on U.S.-made M54-series five-ton truck and a Soviet-era BTR-152 wheeled armored personnel carrier. The original source of the weapons is also unclear, though they almost certainly came by way of former Yemeni military stocks or members of the Saudi coalition. Saudi Arabia and Sudan, the latter being a member of the multi-national bloc, both operate the M167. Sudanese forces have reportedly employed the weapon on the BTR-152, as well. Wherever the Houthis obtained the M167s in the first place, the weapons could be a valuable addition to the group’s already extensive arsenal of purpose-built and improvised anti-aircraft weapons. While they have limited utility against fast- and high-flying combat jets, the guns could still be a realistic threat to lower- and slower-moving helicopters and drones. A South Korean M167, showing the weapon system's original configuration. But the rebels appear to be employing the system primarily against ground targets, where it can be especially deadly, particularly against lightly armored vehicles, unfortified structures, and troops out in the open. The M167 has a dedicated ground firing mode that disables any cueing from the system’s radar and selectable rates of fire between 1,000 to 6,000 rounds per minute, through 3,000-round-per-minute is the typical setting. The United States originally developed the M167, and the self-propelled M113-based M163, as short-range anti-aircraft weapons. In the 1980s, it even considered adopting a wheeled version called Excalibur. Still, the U.S. military was quick to realize its value of the system in a ground support role itself. A 1970s U.S. Army comic-book style training manual, titled “The Fastest Gun in the West” and which has a particularly dated “Cowboys and Indians” theme, shows that American troops even trained to use their Vulcans to indirectly engage targets behind cover with the help of spotters further down range. A page from "The Fastest Gun in The West" describing indirect fire operations with the M163 self-propelled system. Though certainly fearsome, it’s not entirely clear how much use the Houthis have or will necessarily be able to get out of these weapons. The units using them have to contend with keeping up an adequate supply of 20mm shells, an especially important consideration give the gun’s rates of fire, as well as simply keeping the guns and their mounts working at all. The ammunition issue might not necessarily be an immediate concern depending on how many rounds the Houthis were able to capture along with the guns to begin with. The 20x102mm cartridge is apparently common enough that the group has also developed its own anti-materiel rifle, the Hasem, in this caliber. It is also possible that they are receiving additional ammunition from Iran. While the Iranians never operated the Vulcan Air Defense System, they do still have the six-barrel guns installed on a number of America-made F-4E and F-14A fighter jets, as well as the three-barrel M197 derivative on their AH-1J International Cobra gunship helicopters. They're also making anti-materiel rifles of their own, the Arash, seen in the video below, in this caliber. As a result, the country produces its own 20x102mm ammunition. The Iranians have already delivered a host of other weapon systems, including "suicide" unmanned aircraft and boats and ballistic missile technology, to the Houthis. The rebels have also proven themselves more than adept at performing not insignificant levels of maintenance and other work on a host of vehicles and other weapon systems, too. That the Vulcan-equipped technicals remain in service after more than a year and the guns themselves are still operational after nearly three years would seem to indicate that they are relatively simple enough for Houthi workshops to keep them in service. The radar-assisted fire control system, probably one of the more complex components of the system, does appear to have disappeared in part or in full from the group’s Vulcans, though. And there’s no getting around how vulnerable the unarmored Hilux chassis is to mines or roadside bombs or during any sort of protracted direct confrontation with the Saudis, their allies, or Yemeni forces they’re backing. 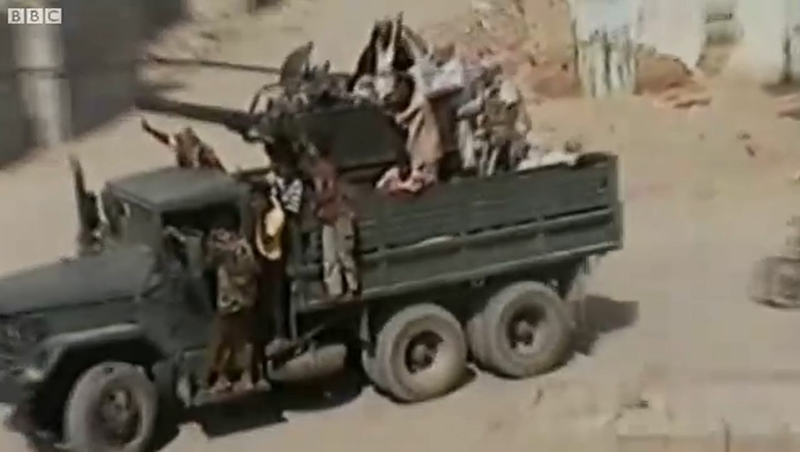 With the grueling conflict looking set to drag on for the foreseeable future, it seems likely that the Houthis will continue using the Vulcan-armed trucks alongside more commonly seen technicals armed with heavy machine guns, light automatic cannons, and heavier guns and rocket launchers. As time goes on, it will be interesting to see the group’s technicians make any more significant modifications to the system or mount the guns on larger, better-protected vehicles.